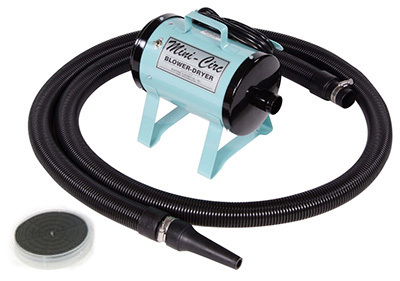 Midwest Grooming Supplies > Large Animal > Mini Circ Forced Air Dryer by Electric Cleaner Co. The Mini Circ is a single motor blower dryer. for people just starting out grooming. 120V 9.5 Amp motor has two speeds. Comes with a 10' hose & blower tip.